Last month, we discussed the value of the Catholic Faith Appeal to the larger community of Catholics and non-Catholics here in Southwest Florida. Saint John has been called on by the Diocese for years to contribute a substantial amount to this goal for support of the infrastructure of the Diocese. 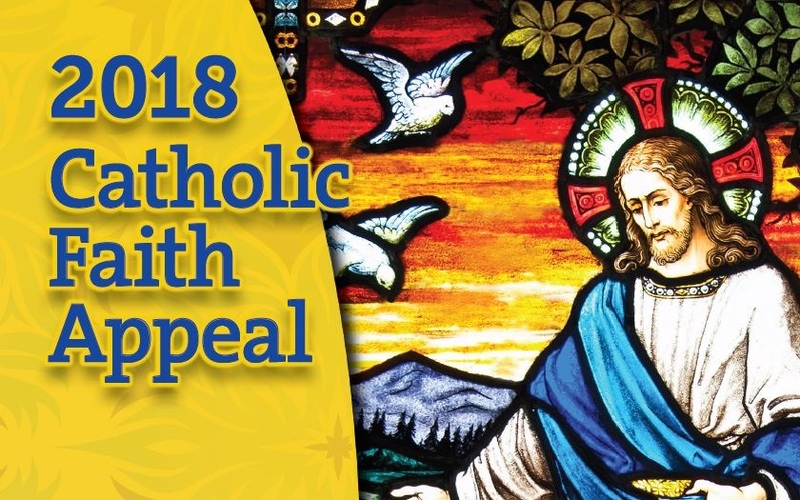 For those who may not be aware of the Catholic Faith Appeal, or CFA, it is the annual assessment of every parish by the Diocese that covers the costs of the Diocese Administration, Operations, and Programs. Catholic Charities: As a leading provider of social services, Catholic Charities supports over 40,000 people with programs like direct assistance to pay their utility bills, emergency intake programs for those that have become homeless, ending human trafficking in our backyard,citizenship assistance, and veteran housing. Vocations: From the Seminarian programs that instruct our future priests and deacons to providing support for the 35 different women’s religious orders and 26 different communities of brothers and priests within the Diocese, the CFA ensures we provide for the education and well-being for those who have dedicated their lives in service to us and our faith. Marriage Preparation: All the Diocese marriage programs needed to be married at Saint John the Evangelist are funded completely through the CFA. If a Parish Family member is going to be married here, they have the ability to be prepared at St. John for their future together. Religious Education: The Diocese supports our youth and our adult Faith Formation programs with materials, schedules and additional catechesis opportunities. The CFA supports the certification of our catechists and the development of the schedules for Confirmation. Good Works: From the 40 Days for Life to Immigration Support for our Parishioners, the CFA provides resources for the good works of the parish. We give so others can have a better life, from picking themselves up with our direct support to supporting social justice initiatives. Counseling Services: We are so very blessed to begin a unique program here at Saint John in conjunction with Collier County Catholic Charities and the Red Cross. We will be hosting free mental health counseling services in our Claussen Center to provide support to those in need of healing. These services will be available to our Parish Family and the larger community. We are the only Catholic Church in the area to provide these needed resources of certified counselors for those dealing with mental or psychological issues. For2018, Saint John has been asked to contribute $521,000, the third highest goal in the Diocese. We have understandably been focused on our Capital Campaign and the complete restoration and renewal of our campus, to include our matching campaign for the insurance deductibles in which we raised over $420,000. We have continued to push forward with our CFA responsibility as best we can. However, we currently stand at $108,987.37. With about 20% left to go, Fr. Tom and our Finance Council requested a special opportunity to reach out to the Parish Family to assist with this shortfall. This weekend, we will hold a Second Collection specific for the CFA. I hope you will prayerfully consider a gift. Any shortfall in our CFA Goal will be removed from our operating account, thereby impacting our mission. We want to continue the level and quality of service we accomplish on a daily basis for our Parish Family and the larger community. Thank you for your consideration and support!